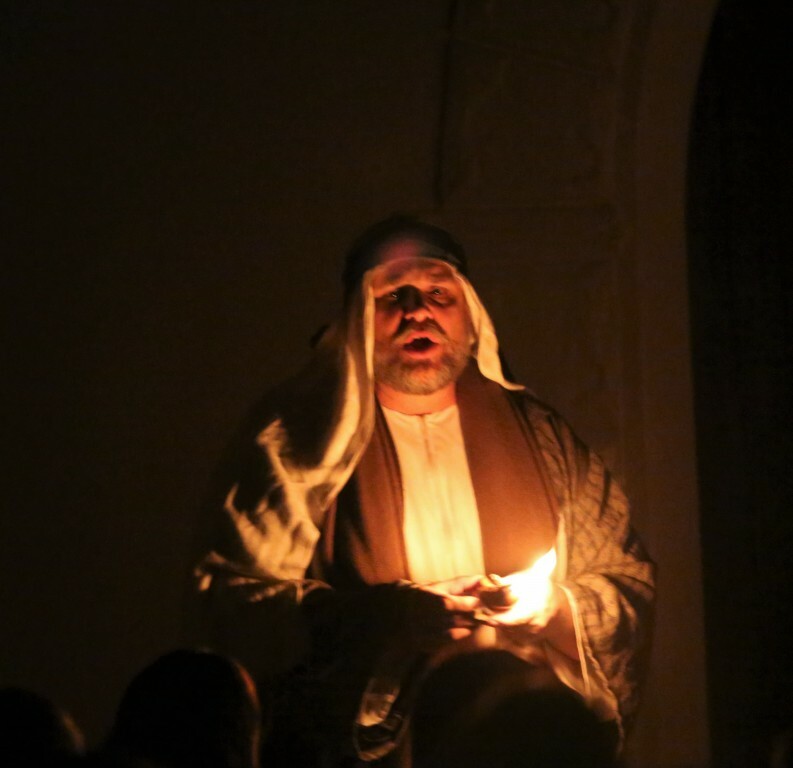 Last week, I sat in a darkened church and saw a story live and breathe on stage…the story of Immanuel. I saw a young girl, unsure about being betrothed to a man she knew little, have her world turned upside down when one of God’s heavenly warriors showed up in her little home in Nazareth, telling her she would bear the Messiah, the Son of God. 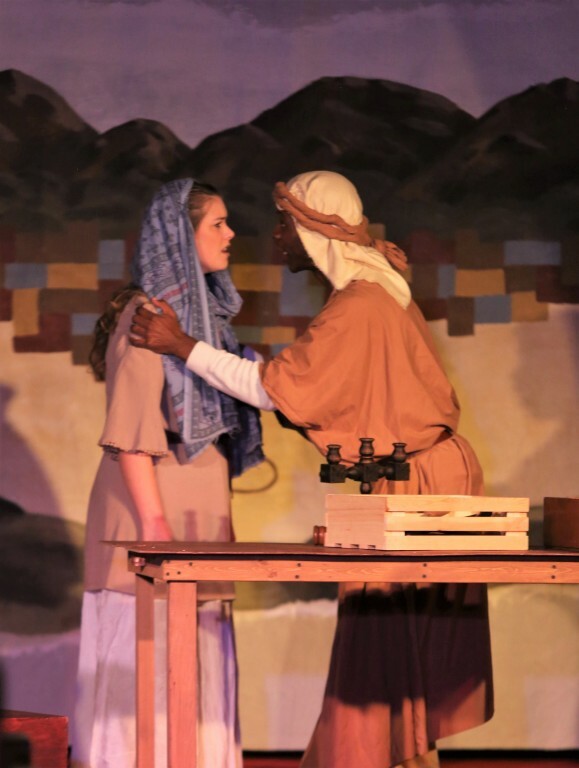 I saw the man who loved her, Joseph’s, heart torn out as he struggled to comprehend the story she tumbled forth, and his anguish to think he could no longer take her as wife, since she carried the child of another. I saw her desperately try to convince her family to believe. I saw a small Galilean community, with its quirks and gossip and nosiness, yet its reverent conviction and steady longing for the Promise of old, as they gathered in synagogue, men with lifted hands, shawl-covered heads, and murmured prayers, women gathered to the side, bending in supplication. And yet, when that Promise came, they didn’t recognize Him. I saw the tenderness of our God, in sending an angel to the troubled young carpenter too, extending a hand of mercy and assurance that yes, he too was part of this Plan. 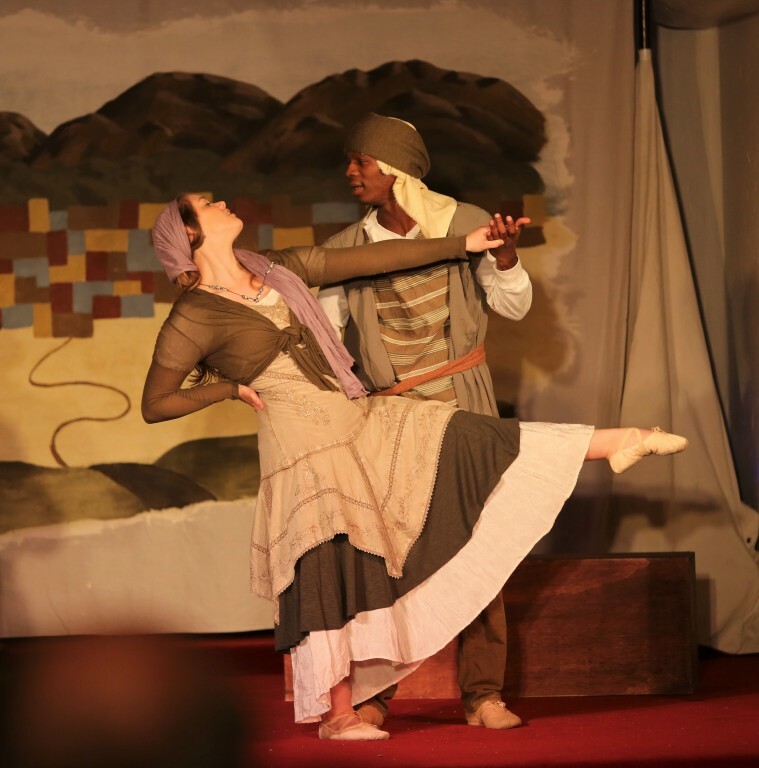 I saw the joy on their faces, as Joseph and Mary realized they were called to this together, their blossoming love in dance and song. I saw the seemingly cruel twist, that an oppressive and godless ruler would call a census, just at the worst possible time. I saw their struggle to keep trusting, as they set off on a journey over a hundred miles of wilderness with a baby on the way. I saw the desperate search for a place, and a young almost-mother clinging to her husband’s hand when they couldn’t find a midwife amid the census chaos in Bethlehem, giving birth to her firstborn on the stable straw. And yet the Lord’s presence with the m even then, and the unutterable joy on their faces when they cradled Him for the first time. 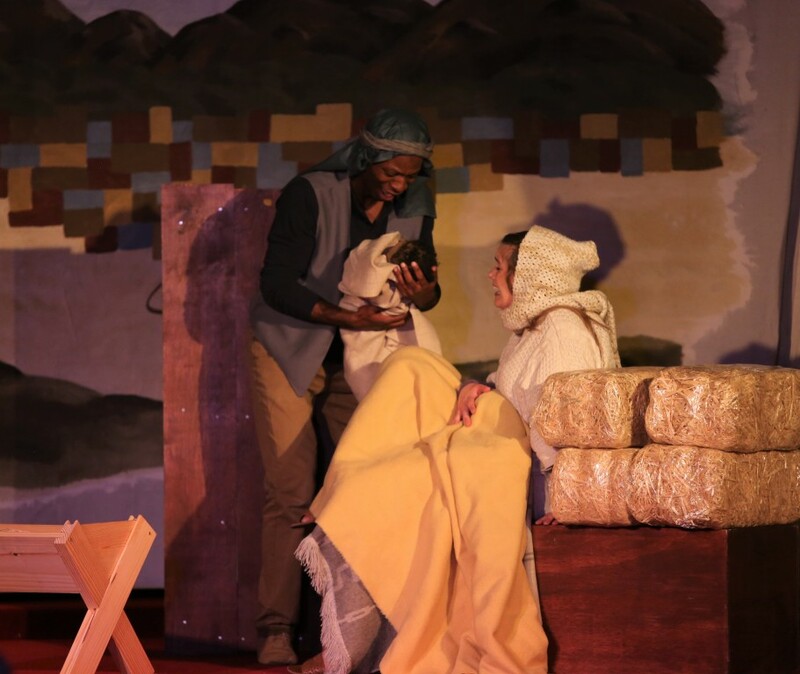 I saw the unaffected wonder of the shepherds, trying to describe the glory they had seen, and kneeling at the manger. I saw the softened heart of one rebellious shepherd girl, as she held the Messiah in her arms and found that, against all she had thought, this Promise had been for them. 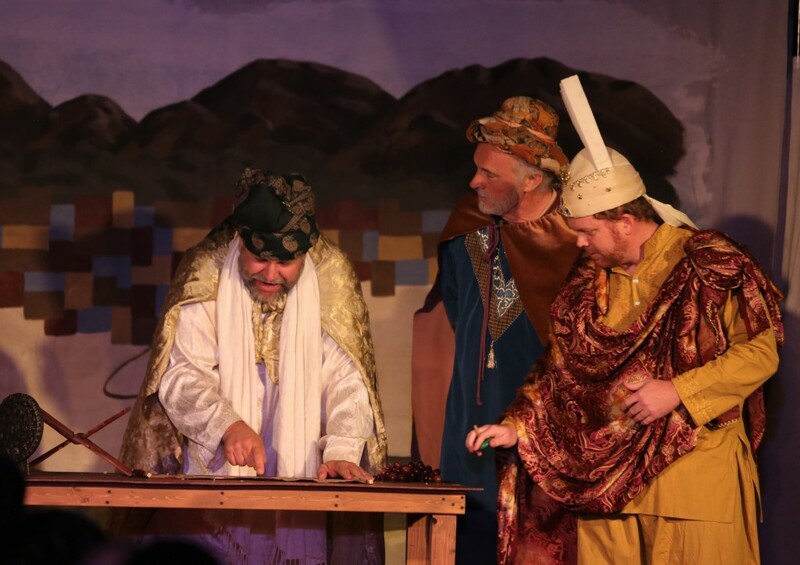 I saw three bumbling wise men, funny yet poignant, making their way on a seemingly ludicrous journey after starshine. I saw the awe on their faces when they finally found him, and the tears in the eyes of the skeptic, when at last he saw the tiny face of the King who silenced all his arguments. I saw a young family forced to become refugees and flee the violence of Herod, escaping with little more than the clothes on their backs and the Baby in their arms…yet knowing that He was Immanuel, God with them. And He is with us still. Last week was our premiere run of The Promise, a new Christmas musical with a script I wrote and the exquisite music of Michael Card. It has been a long journey to producing this show…over seven years ago, the Lord first put the idea on my heart of writing a script to accompany this music my family had loved and listened to at Christmas as long as I could remember. I can’t do that, I thought at first. Surely, that’s far beyond my skill set. To bring to life—to stage—this greatest story, truest story, ever told, in some kind of new and moving way? To somehow do justice to it, and to the incredibly beautiful music? But the ideas didn’t go away—instead, they kept coming, scenes starting to play themselves through my mind. And so, at last, I started writing them down. I planned to tell my family one Sunday after church, to see if they could confirm whether I was completely crazy or not. My mom and sister weren’t well enough for church that day, so when my dad and I got home, I went to check on them. Okay, Lord, I thought with trembling. Maybe this really is You, after all. I was so aware of my weakness throughout the process of taking this story and trying to bring it to life, to tell it anew, with imagination and wonder and in a way that would help people realize this was something that really happened, to real people who hoped and wept and ached and wondered just as we do. And that it is about Someone who is still real and true and alive today, and wants all to know Him as Immanuel…God with us. So many times I stumbled and failed. So many times I felt I was inadequate for the task. But Mary and Joseph must have felt that way too. And it seems that is how the Lord loves best to work—to perfect His strength in our weakness. 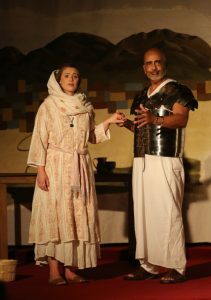 We were aware of it through the process of preparing and producing the show this fall also—while the Lord brought so many amazing people togeth er to make this musical happen, including an absolutely incredible cast and musicians, a generous venue, and our two amazing young directors, we encountered lots of setbacks and spiritual warfare too. I shared a few in my last post here. 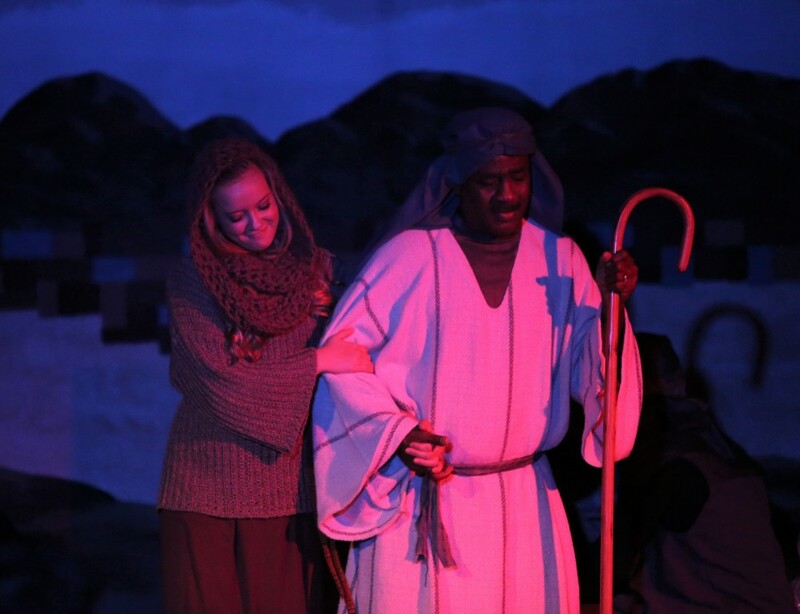 But He was with us…Immanuel. And as I sat in that darkened church and heard the familiar strains of music I know so well they seem entwined in my heart—and then saw the flickering light of an oil lamp from the back as the first Prophet entered and began to sing down the aisle for the Prologue—I saw that dream from seven years ago fulfilled. And our cast and staff gave their all, bringing this story to life more powerfully and beautifully than I could ever have imagined. Because, as Gabriel reminds Mary…nothing is impossible with God. And in the faces of our audiences members as they told us how touched and moved they were, that they’d never seen the Christmas story like this before…that it seemed so real…in the tears on the cheeks of the older man who sat behind me and gripped my shoulder with emotion after the closing chorus of “Immanuel”…I saw that the Lord truly does perfect His strength in our weakness. And I’m grateful for the dreams He puts on our hearts…because just maybe, they might be His. What seemingly impossible dreams has the Lord laid on your heart? How might He be perfecting His strength in your weakness to bring them to pass? I’d love to hear your thoughts! Beautiful! I am touched after reading how it all unfolded. Surely, you were anointed to write this musical. It is still on you, as I can feel it flowing from your written expression. Thanks for sharing this. Thank you so much, Sandra…your support and encouragement through this journey have meant so very much. Love you, friend! Thank you so much, Cathie! Your support and encouragement mean so much, and I’m so grateful your family could be part of it. 🙂 Love and blessings to you!